Today, Students for a Democratic Society is often portrayed as the drama of the good early 1960s SDS turning into Weatherman, the small faction whose story ended in bombed-out New York townhouse. The reality was quite different. SDS at its apex in 1968/69 numbered 100,000 students whose political views reflected a rainbow of ideologies exploring what a new American left could be with a willingness to risk everything to stop the war in Vietnam and achieve social justice. 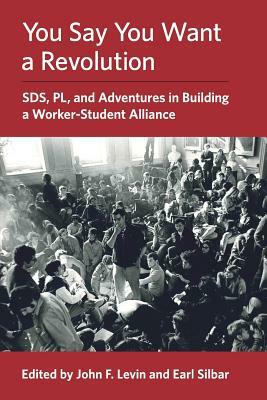 When SDS splintered in June 1969, a majority of the delegates supported the program of its Worker-Student Alliance caucus: building a strategic alliance between students and the working class to achieve the movement's goals. The contributors in this book were mostly members of WSA, whose formation was initiated by the Maoist Progressive Labor Party. Here they recount and evaluate their participation in the struggles of the 1960s and early 1970s, from trips to revolutionary Cuba defying the US travel ban to student strikes, labor and community alliances, and campaigns against the war and racism across the country, from Columbia and Harvard, Texas and Iowa, to San Francisco State and UC Berkeley. These accounts are both optimistic, from those still inspired, and bitter, from those now critical of their involvement. The stories they tell speak across the years, as a new generation--from Black Lives Matter to Fight for $15 to the Parkland students--faces decisions about how to organize and build alliances to stop wars abroad, confront racial oppression at home, fight for immigrant rights, and end violence and neoliberal exploitation.